Earlier today, I watched Pep Guardiola's Manchester City beat Manchester United by three goals to one. 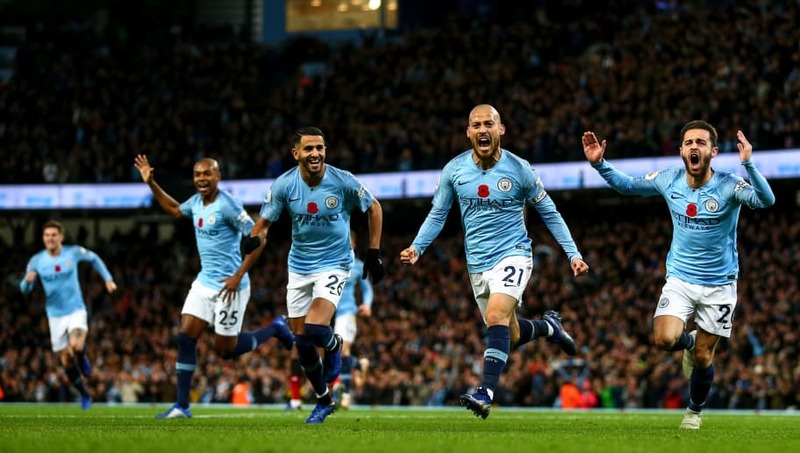 Having watched all of the top teams in the English Premier League this season so far, I must say that Manchester City have been a class apart from everyone else. While Chelsea and Spurs are still mathematically close in terms of points, they have quite a way to go before they can start turning up performances like the ones City have been putting in week in and week out. And Liverpool, even closer on points, are not quite there yet either. While Liverpool have been top of their game so far this season, their peak has been comparable to the comfortable routine displays of City, who haven't had to really stretch themselves and fight for points so far. This has been a week where I've been exposed to successes all around from very varied sources, all of whom have been very inspiring. The only thing new about Guardiola's success at City was yet another impressive display against United today, but his career spanning across Barcelona, Bayern, and now, City, has been nothing short of inspiring. Yesterday, a friend of mine hit a milestone in revenues for his startup. The day before, a cousin of mine successfully raised Series A funding for his startup. Both of which are incredibly inspiring, given that I've observed where they started and how dedicated they've been in making these happen. And coincidentally, I've been reading this week, the biography of one of the most inspiring people on the planet, Mohandas Gandhi. All of these cases are great examples of the myth of the overnight success. Many years (and the case of Mahatma Gandhi, an entire lifetime) goes into building up to the overnight success. We read biographies, we look up to successful people, we define role models, all because they inspire us to go after our dreams, because they motivate us to put in our best foot forward every time. They give us a reason to wake up in the morning and pursue what we love. However, many of us fall into the fallacy of treating the inspiring stories of successful people as proof that hard work and dedication and perseverance pays off eventually. In doing so, we forget the concept of survivor bias. We fail to notice the hundreds of other people that also put in as much or more hard work, were just as motivated, persevered just as much, and still found themselves short of the elusive badge of success. Does that mean it isn't worth being inspired by these successes and be motivated to follow in their footsteps? From a book that Mahatma Gandhi is said to have always carried on him and read daily from, the Bhagavad Gita, is the famous saying that one ought to do their duty and leave the results to the almighty. What inspires us to do our best work and to keep trying isn't that doing so is guaranteed to eventually result in success. But that we change who we are and grow as individuals in going through this process, and success is just one possible outcome, which we would be less happy were we to acquire it in any other way. Because this process becomes our way of life and what defines us. Mahatma Gandhi spent decades campaigning against the British rule, against untouchability and for Hindu-Muslim unity in British India, and only saw mixed success in all of them. And yet, none of his correspondences and the observations made by those around him indicate the slightest bit of disappointment in him. He lived by his principles and did his duty and grew as an individual, and one possible outcome was success, even in the absence of which, he would have continued doing what he did. In Guardiola, I see a strict adherence to his principles of a certain style of football. In Mahatma Gandhi, I see a strict adherence to his principles and his views on life. In my friend and my cousin, I see a strict adherence to their principles that drive them to shun other opportunities and grow their respective startups. And this is the source of my inspiration that I'd like to mimic in the things I do.